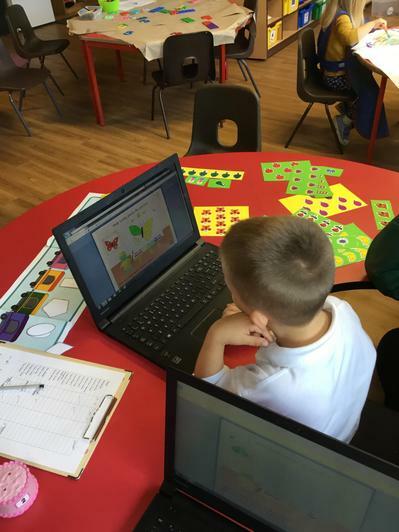 In Owls we are really excited about our learning and can't wait to show you what we have been up to. 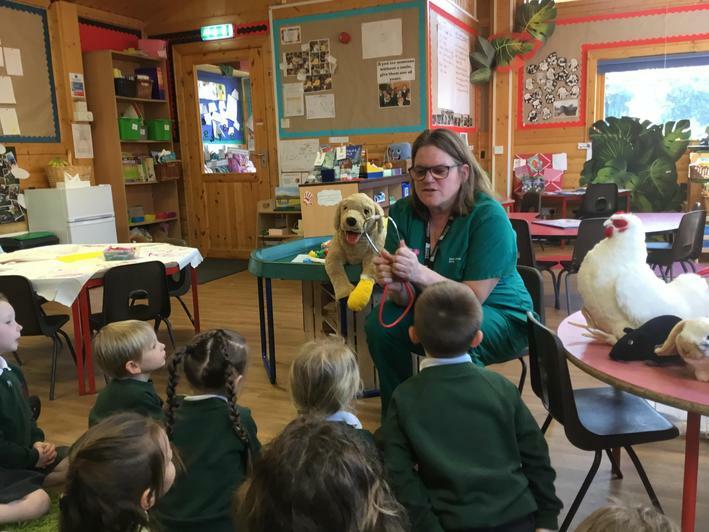 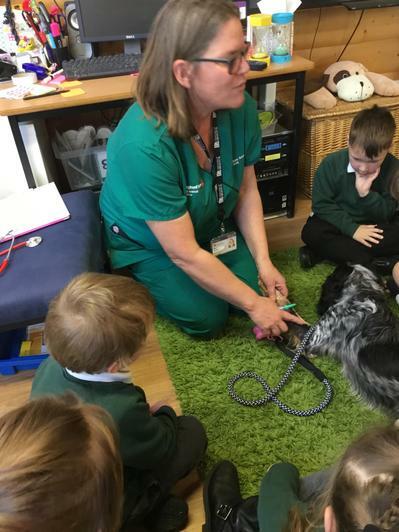 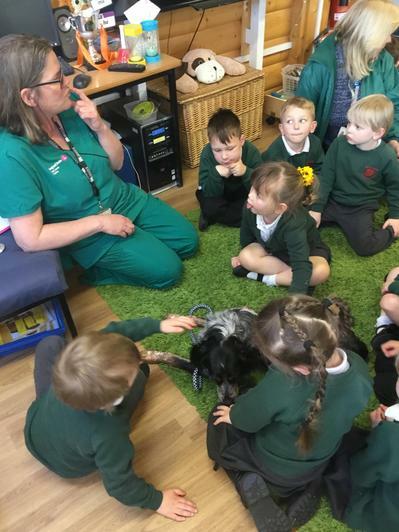 Sam and Cookie came to visit us so we could learn more about being a Vet and how to care for animals. 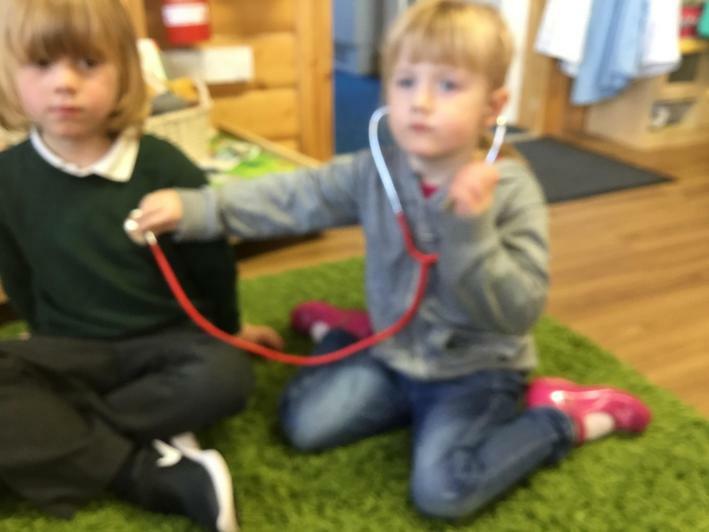 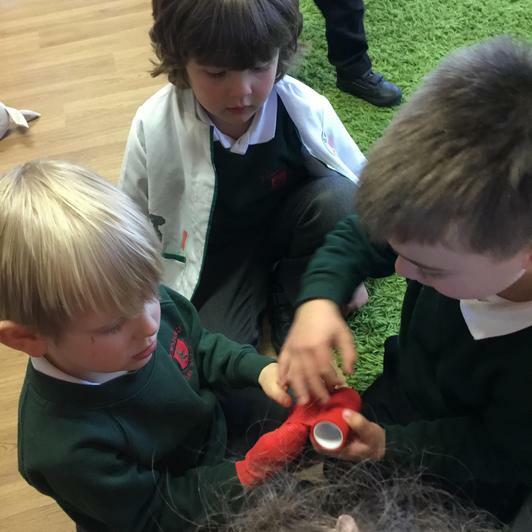 We learnt how listen to a heartbeat, where to give an injection and how to bandage a poorly leg. 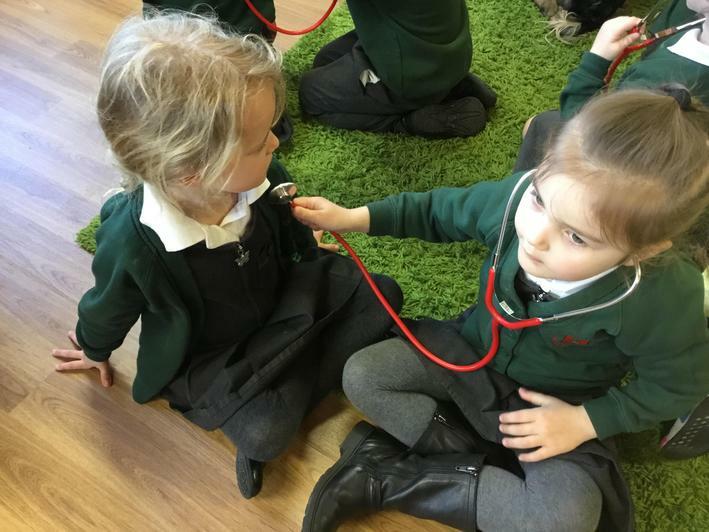 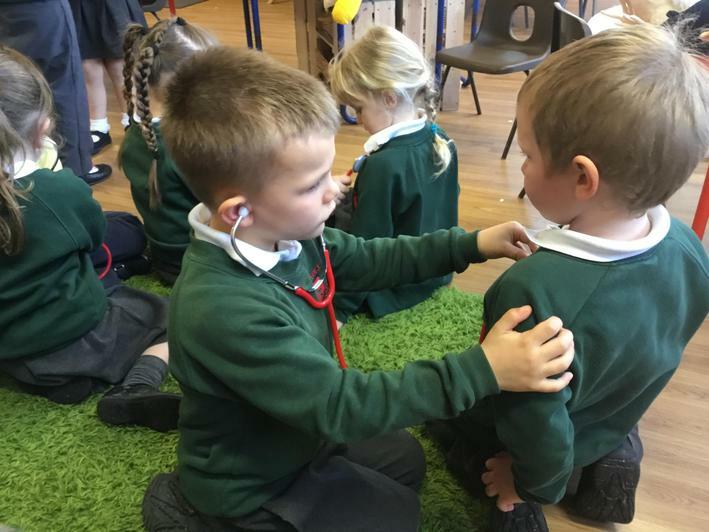 We then practised listening to each others heart beat and some people listened to Cookie's. 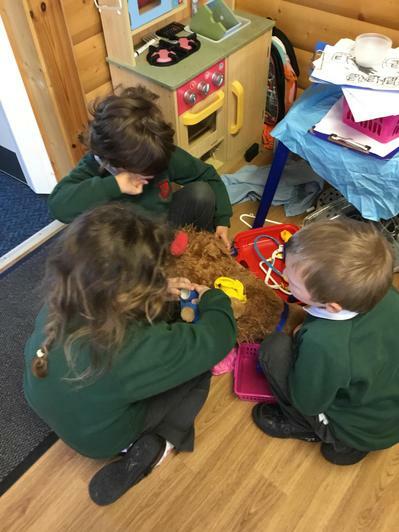 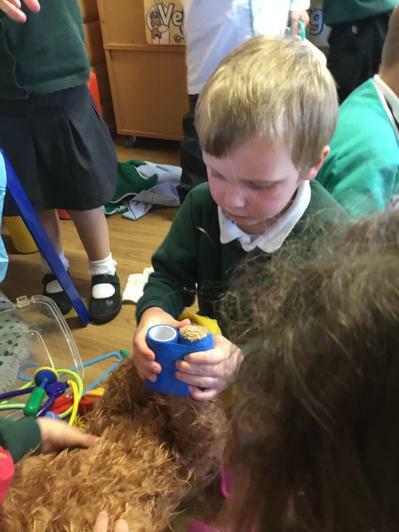 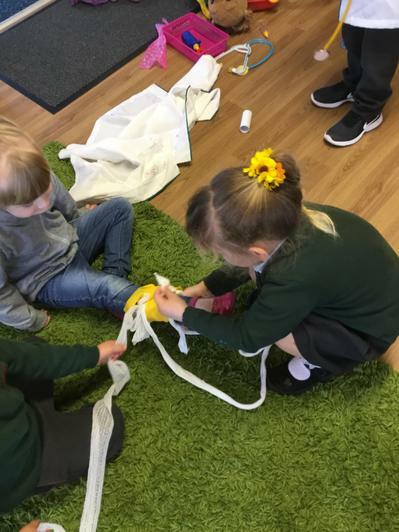 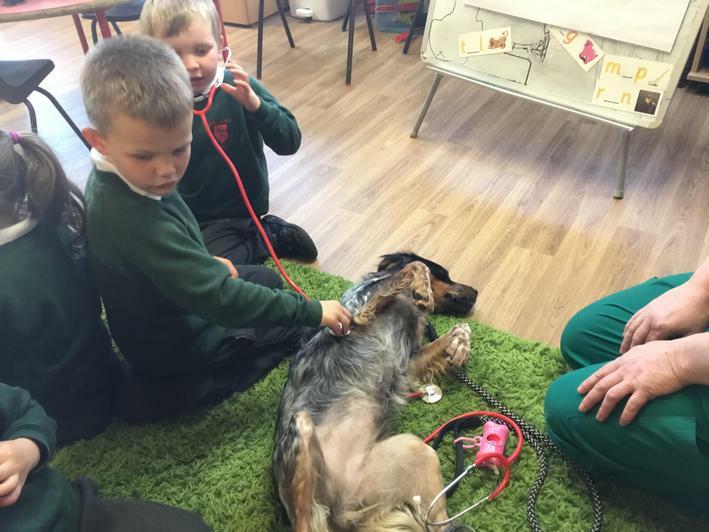 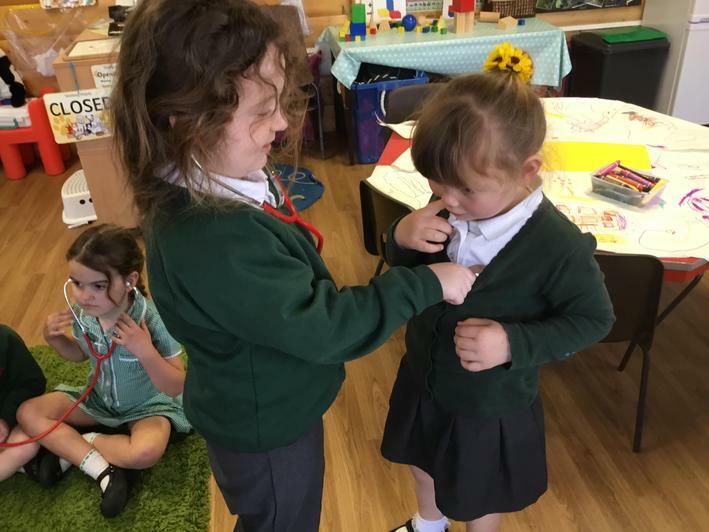 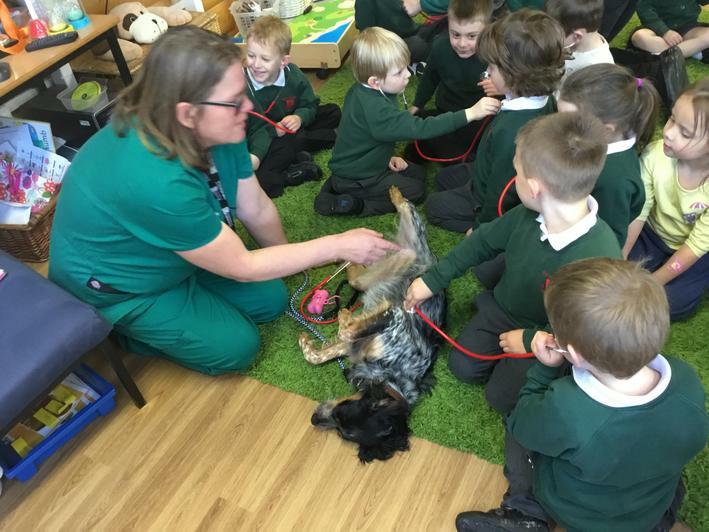 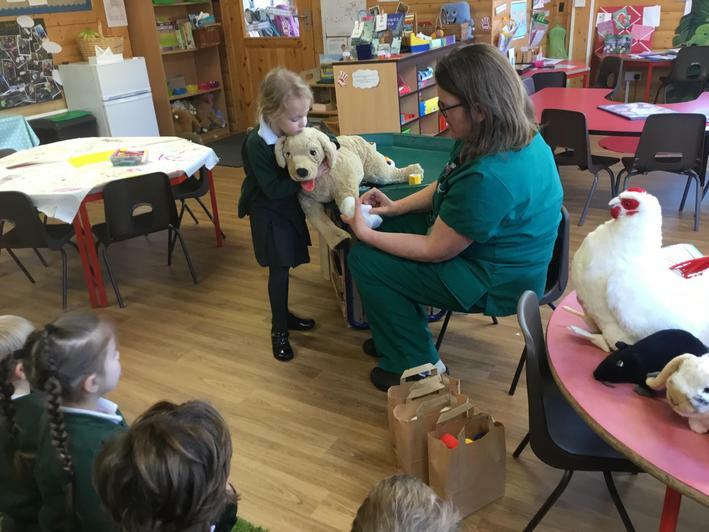 In our Vet role play we also practised bandaging our cuddly animals and each other! 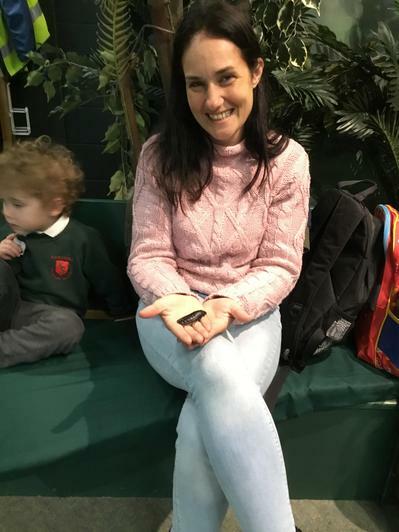 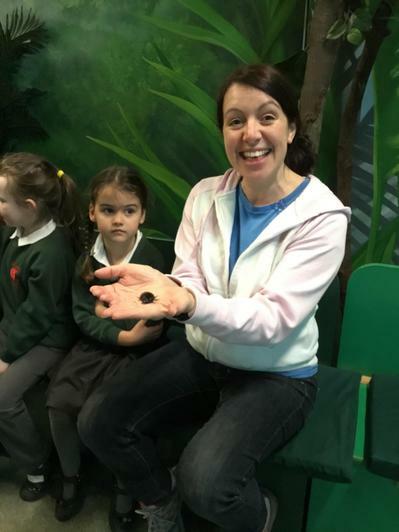 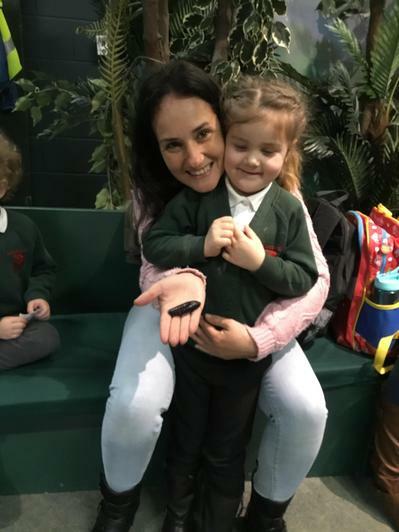 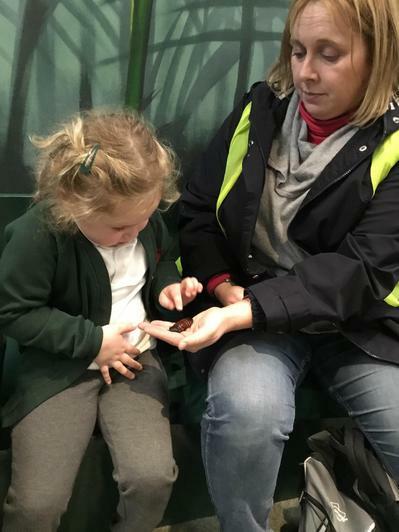 We had a new member of the Owls class come and join us on Friday, Miss Bawden kindly shared her tiny pet tortoise Tilly with us. 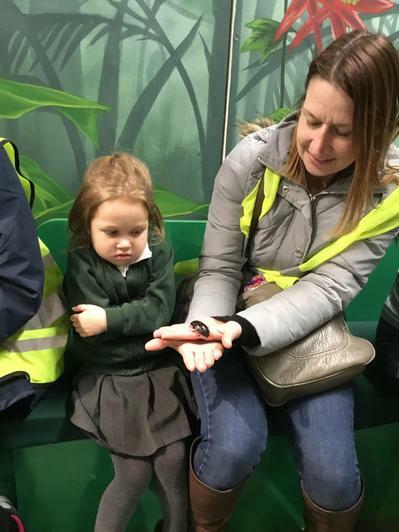 We sat very quietly and all were allowed to touch her shell. 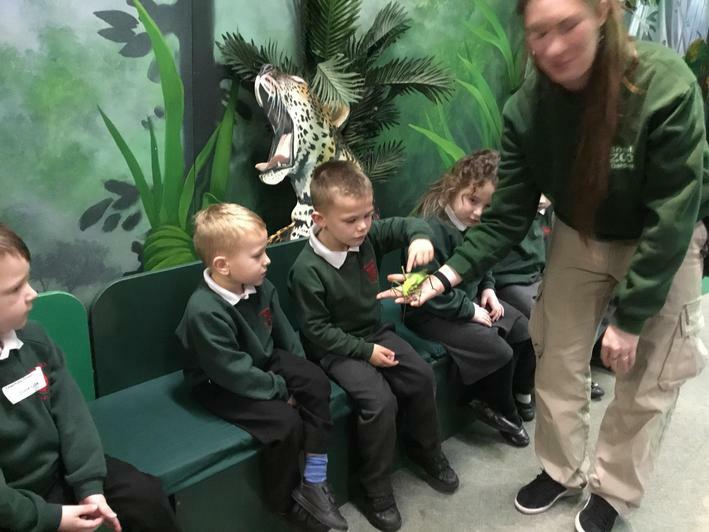 We asked some interesting questions and found what she ate, where she slept, the difference between turtles and tortoises and that Miss Bawden won't know if she is boy or girl tortoise till she is 5 years old. 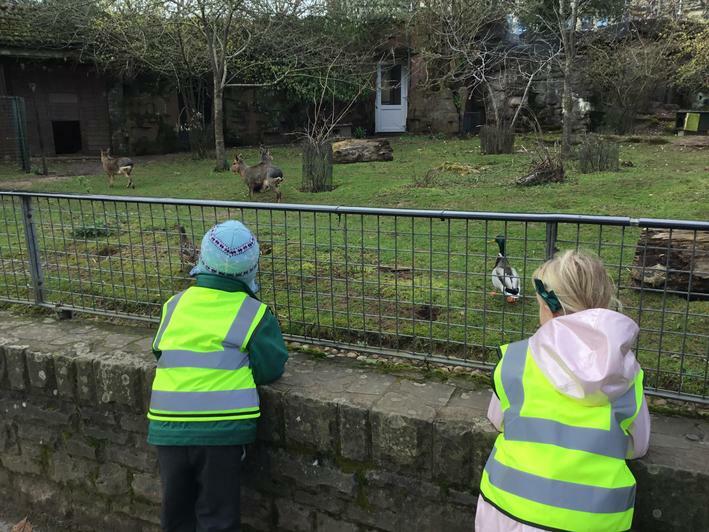 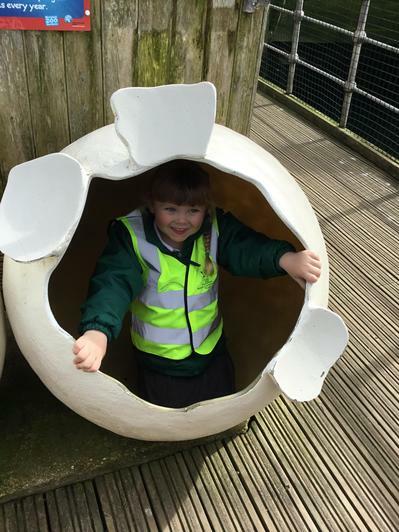 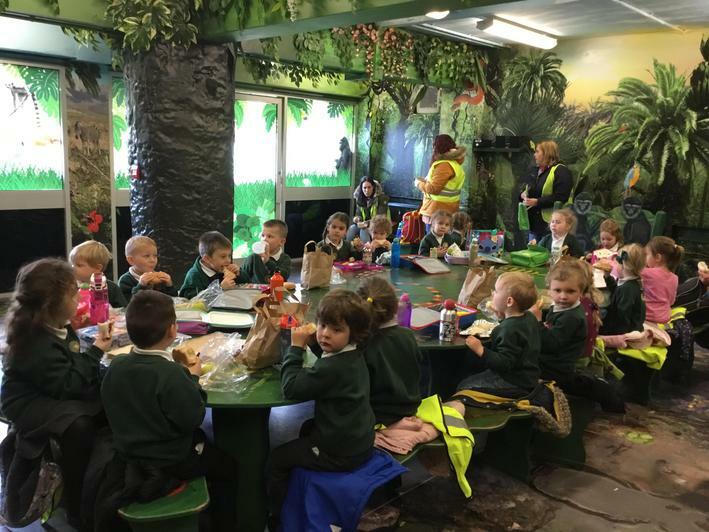 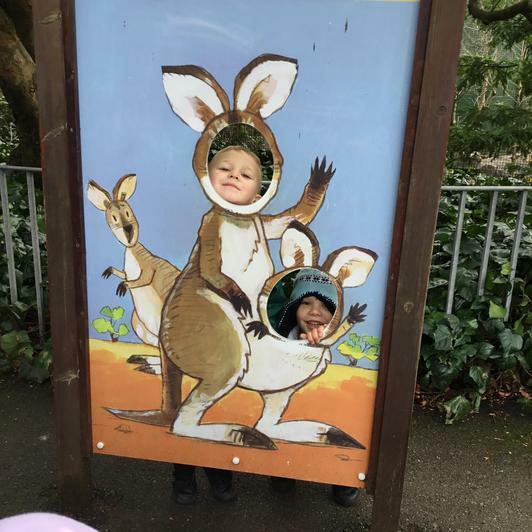 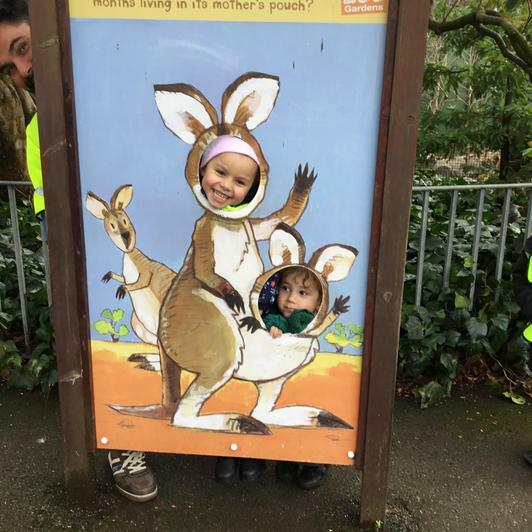 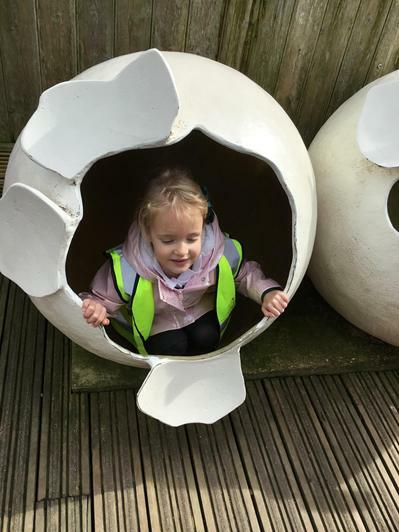 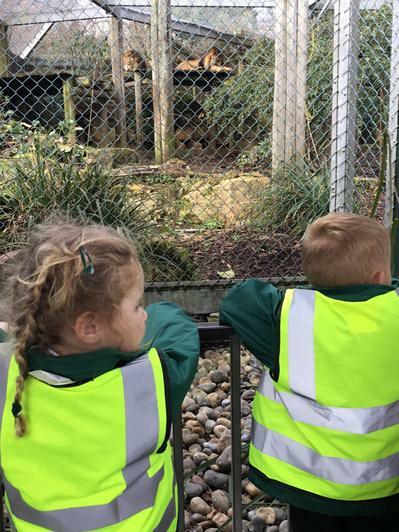 We had a fantastic day visiting Bristol Zoo this week. 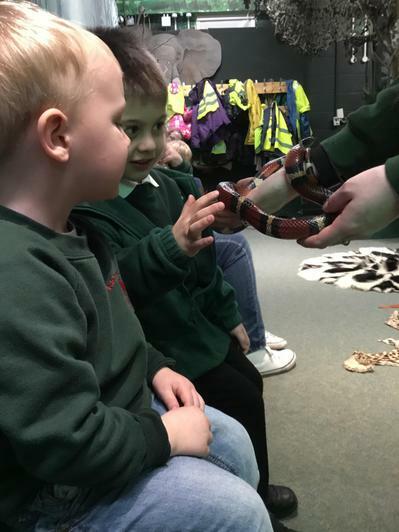 We were so lucky as we got to see and learn about lots of different animals. 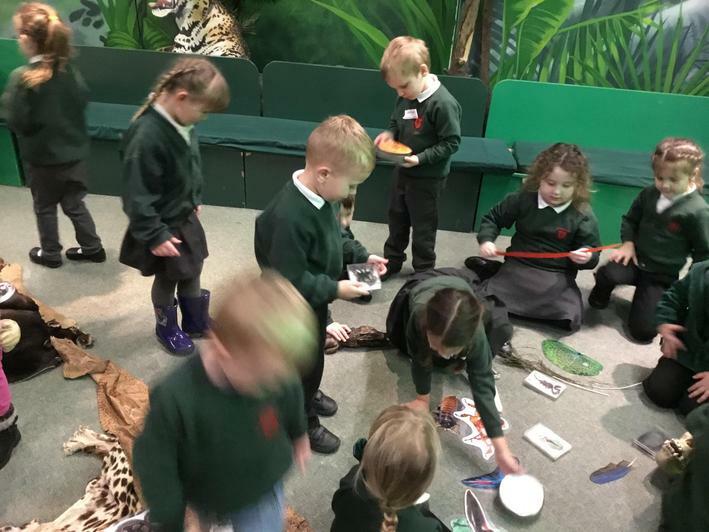 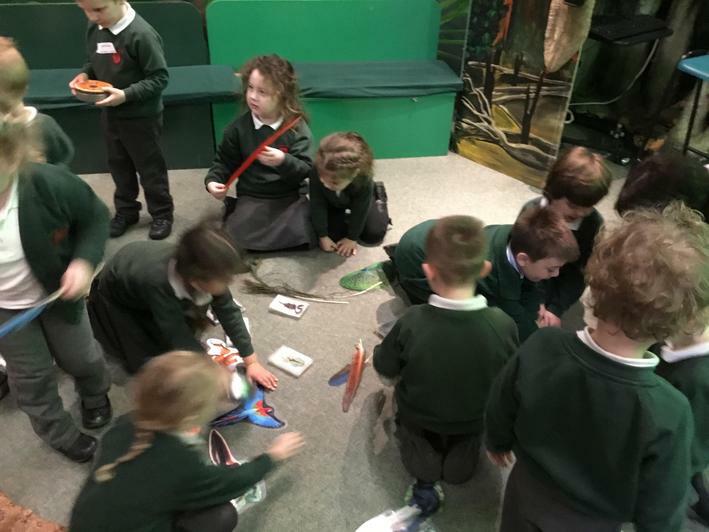 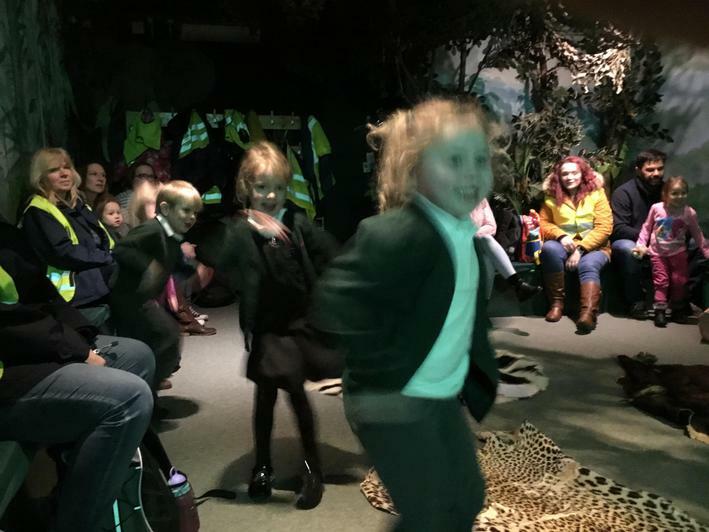 We learnt about what animals lived in a Rainforest and had a dance along to a song about living in the jungle, the animal boogie. 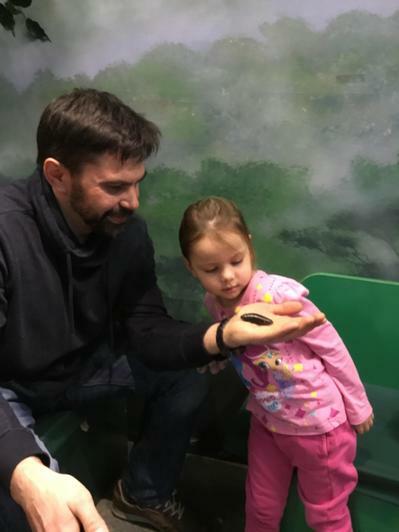 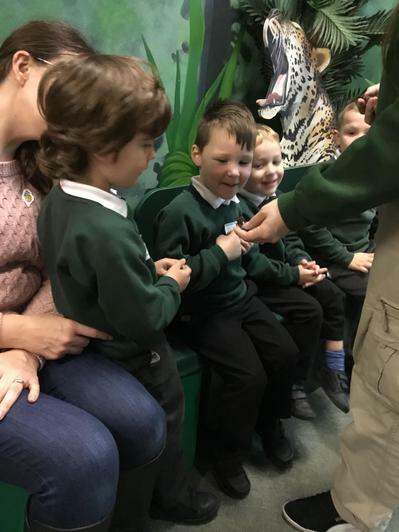 Some of us were brave enough to hold a hissing cockroach and touch a snake and giant stick insect. 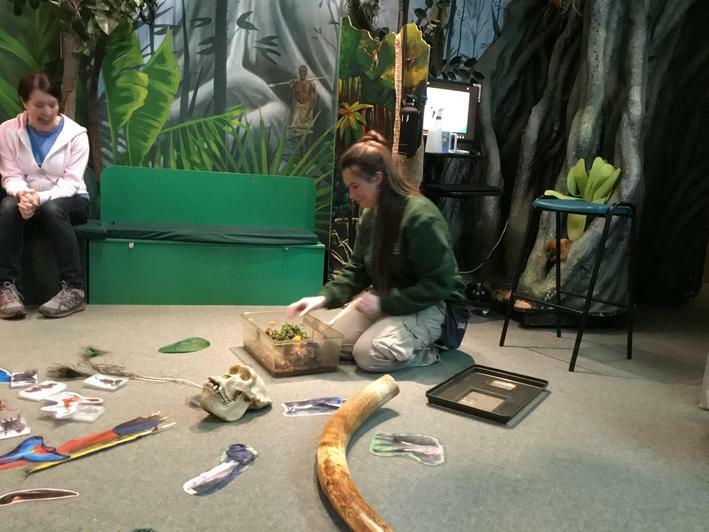 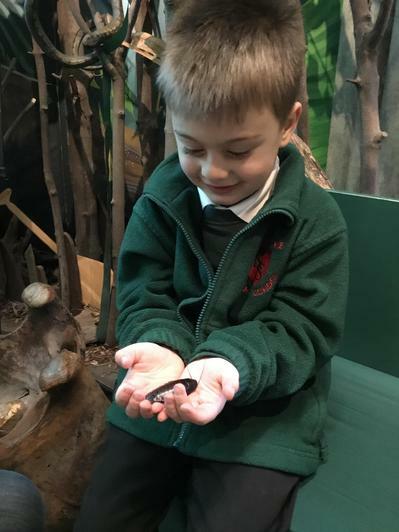 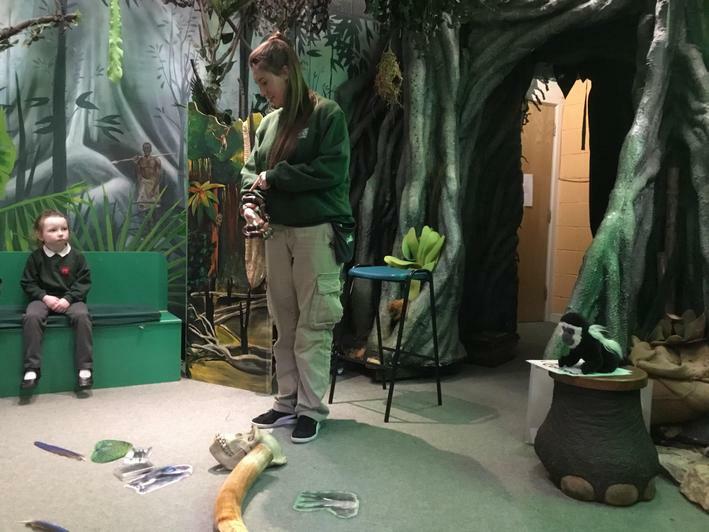 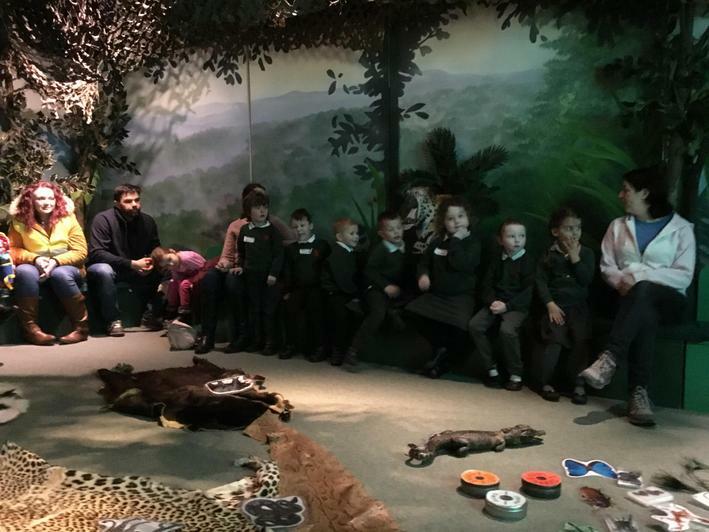 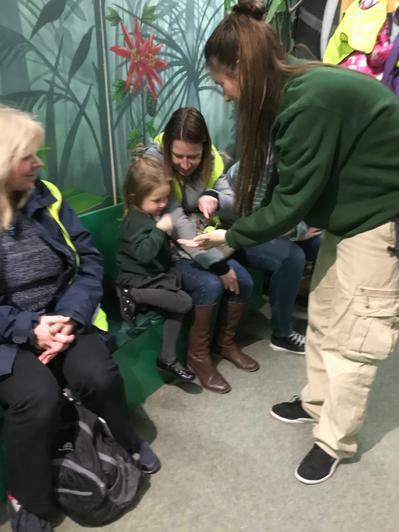 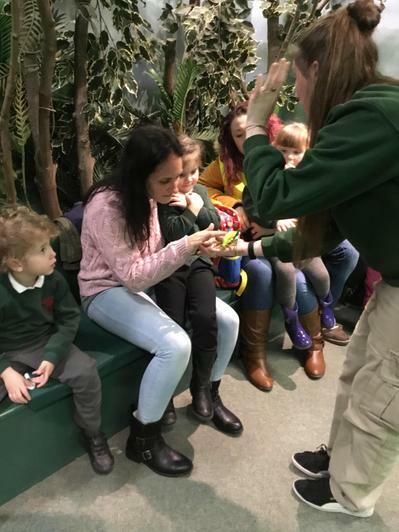 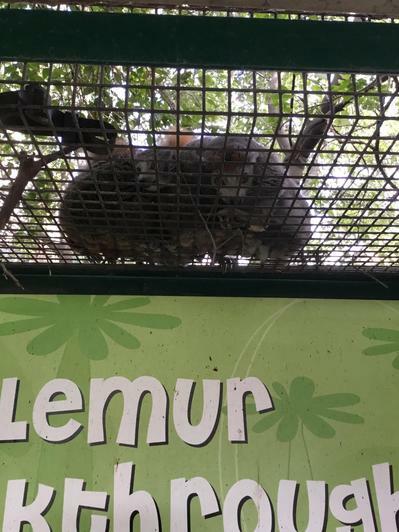 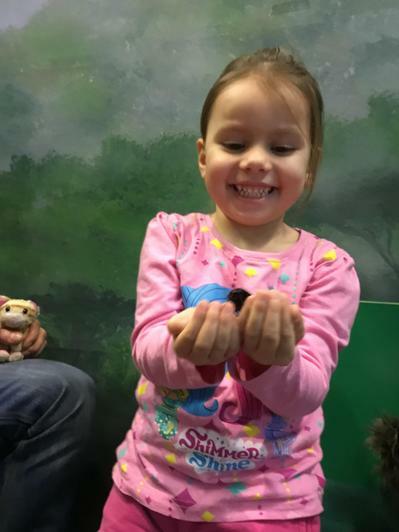 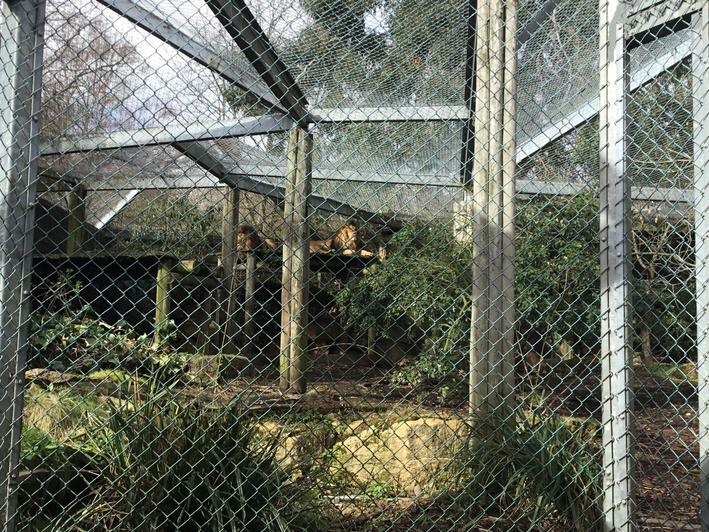 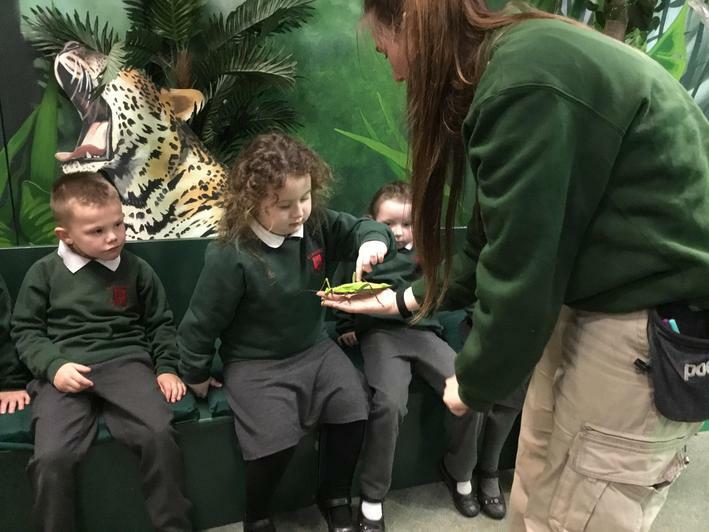 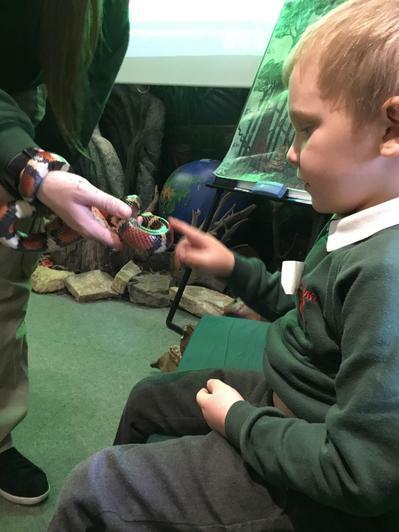 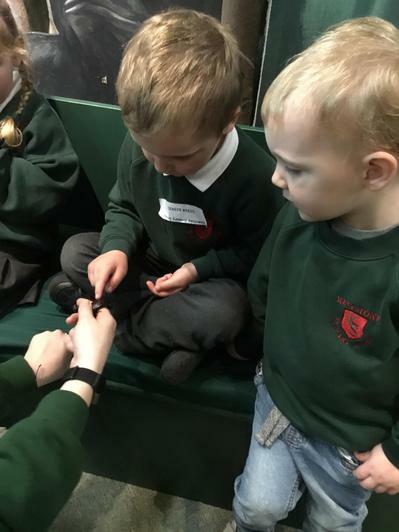 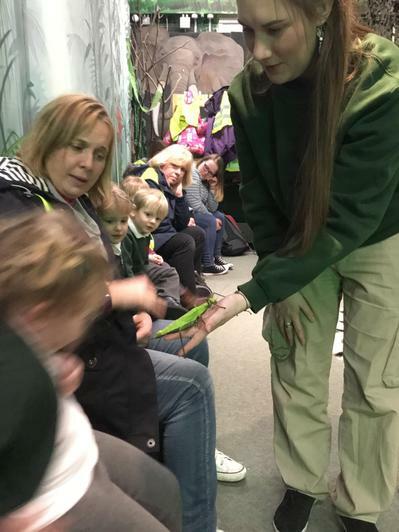 We hope all the children came home full of facts and tales of the wonderful animals they saw at the zoo. 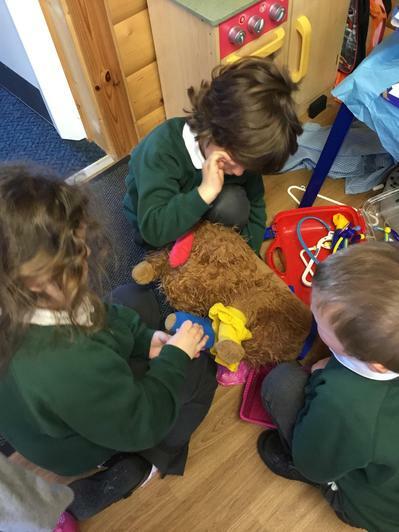 Emily and Buster the dog came to visit us from Dogs Trust. 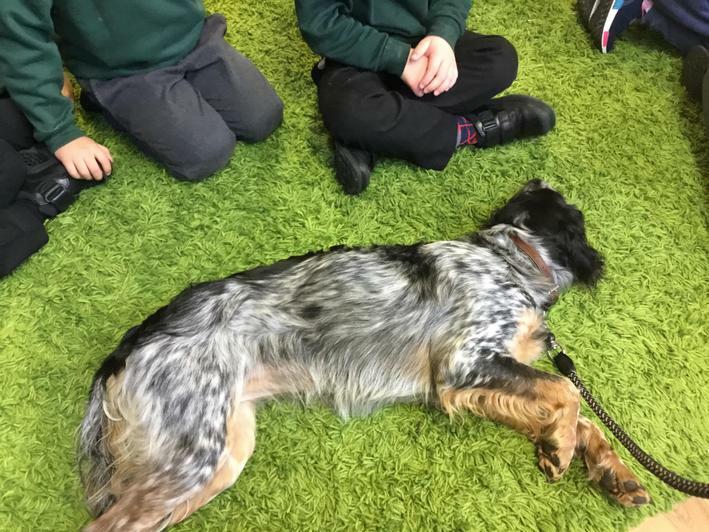 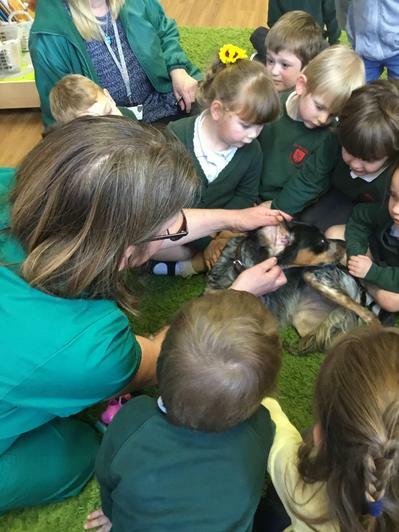 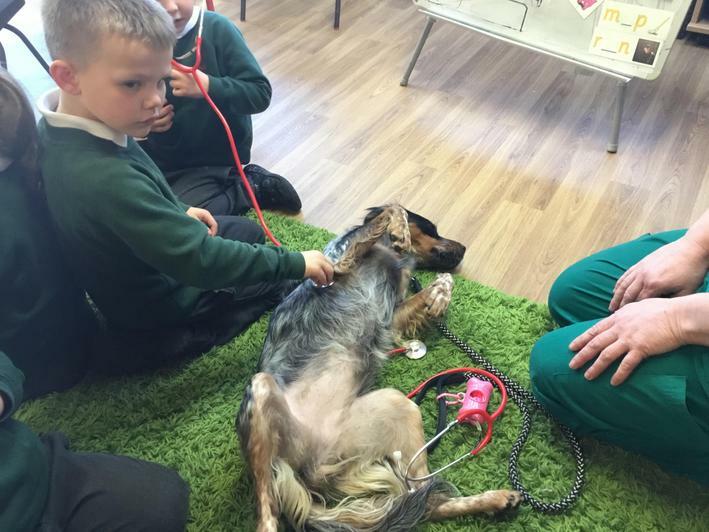 We learnt all about how to look after and care for a dog, what Dogs Trust do and how to respect a dog. 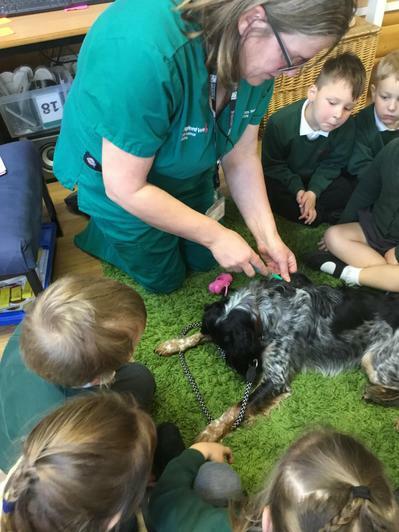 We know when it is ok to stroke a dog and when we should leave a dog alone. 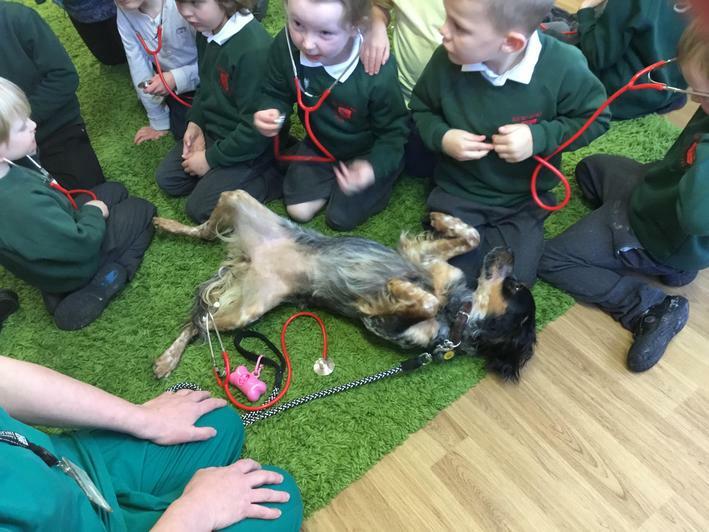 Buster was a very well behaved dog! 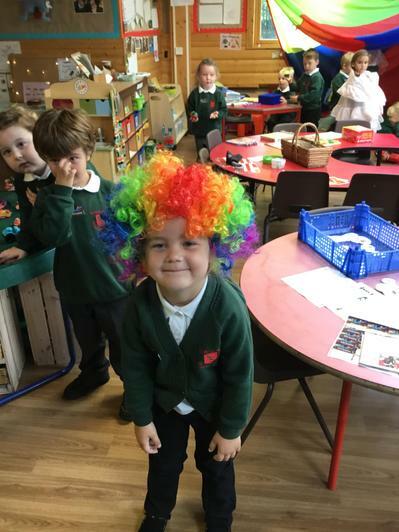 Tell Me a Tale- Dress Up Day! 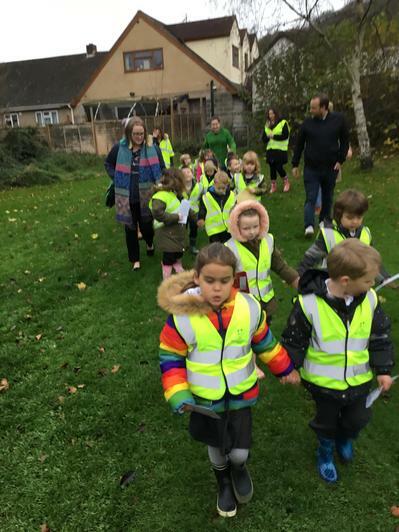 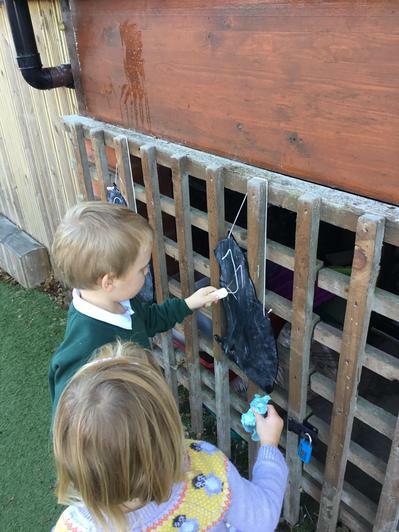 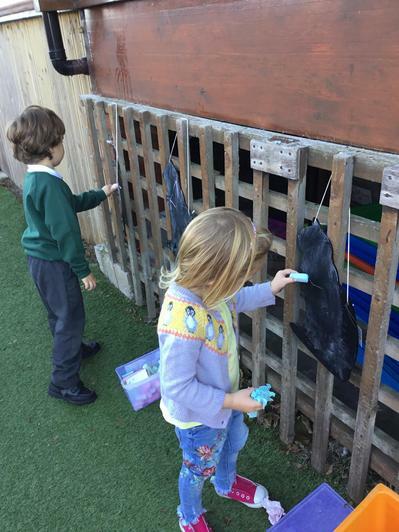 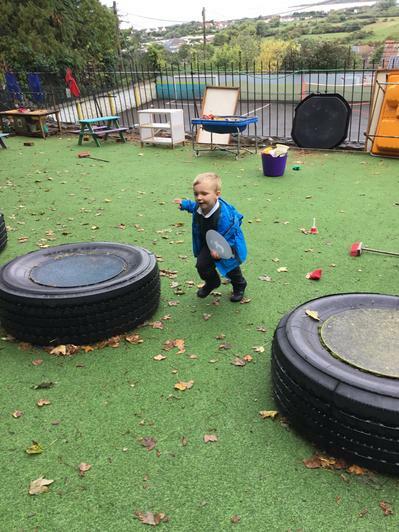 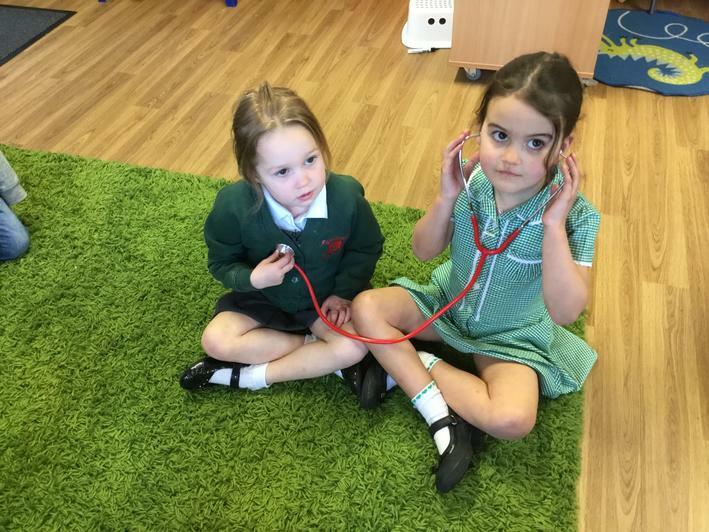 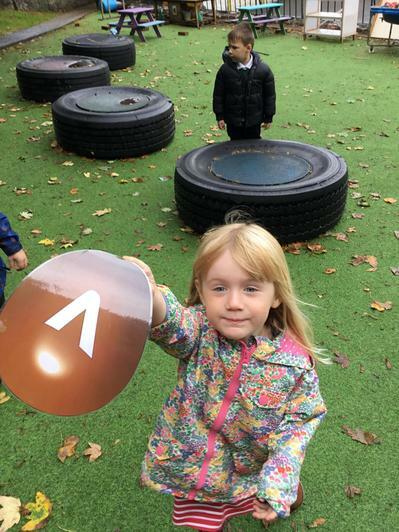 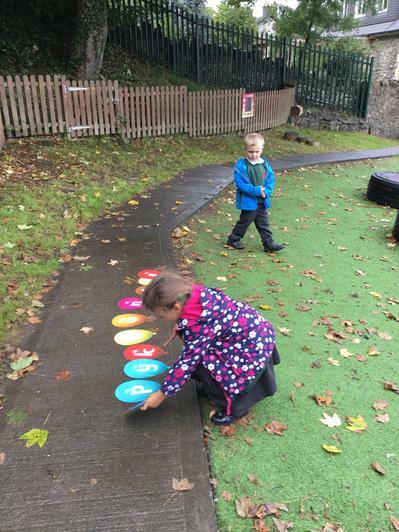 As part of our Well-being week we thought about keeping healthy inside and out. 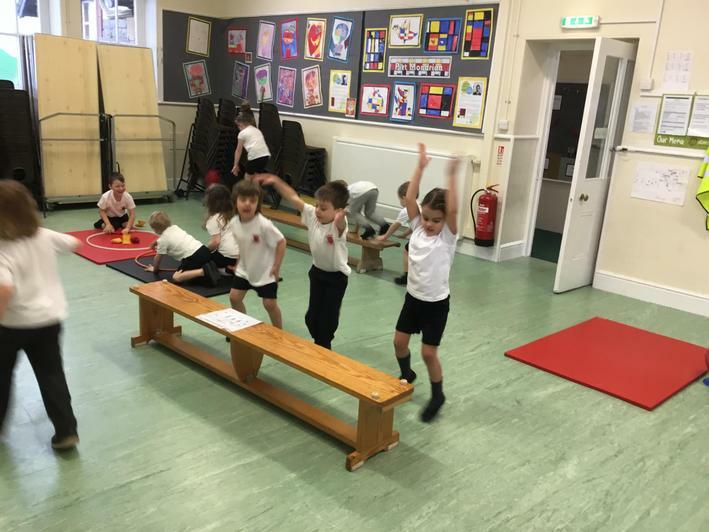 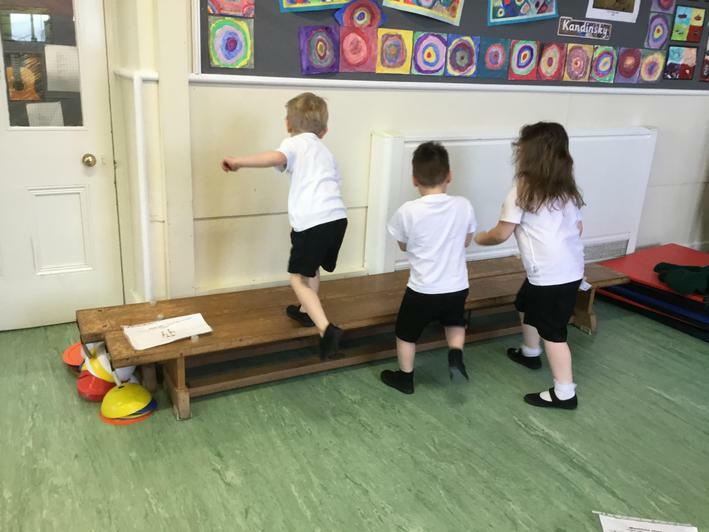 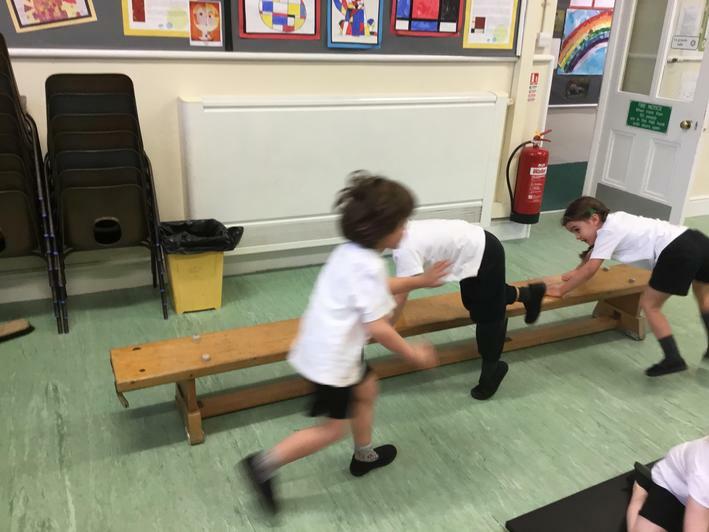 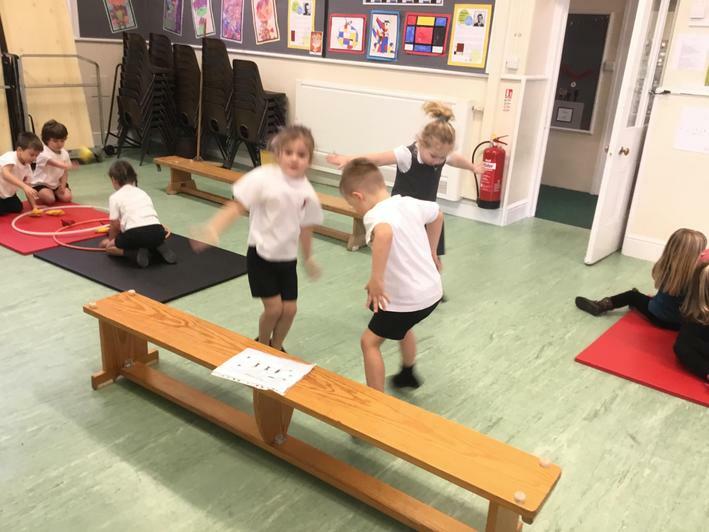 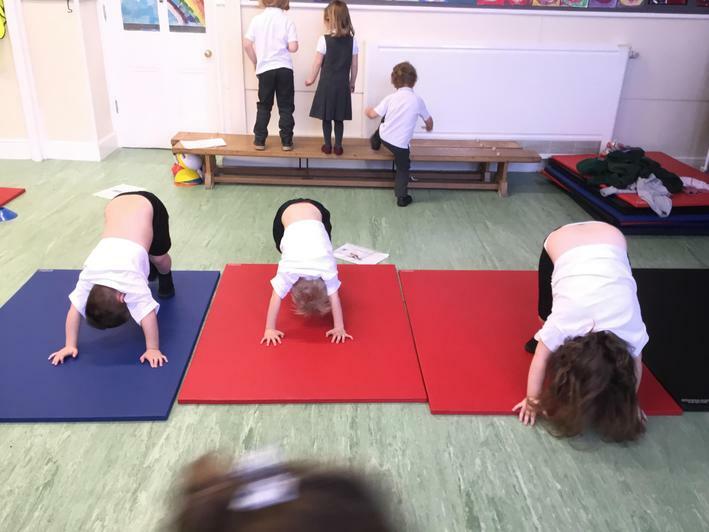 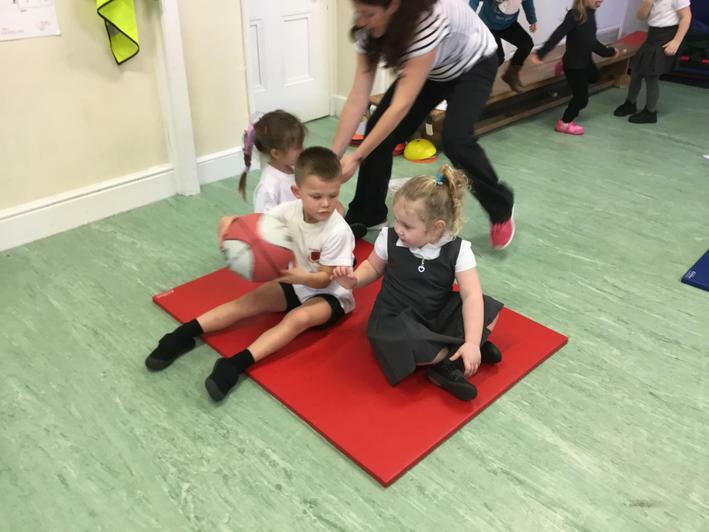 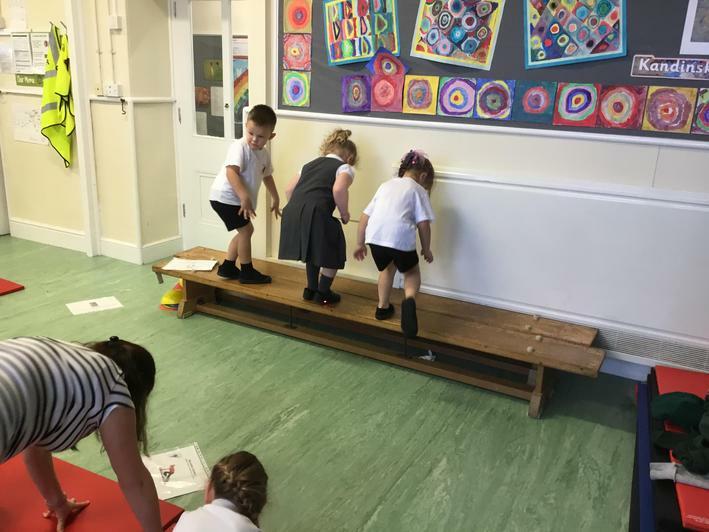 We made delicious breakfast bars, talked about the importance of sleep, practised making a healthy food plate and kept our bodies active in a fun circuits session. 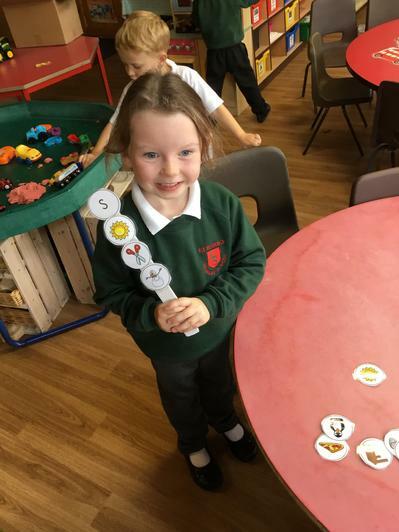 Phonics Pronunciation Guide for Parents Please see link for a helpful website to support phonics at home following requests from the Phonics Workshop. 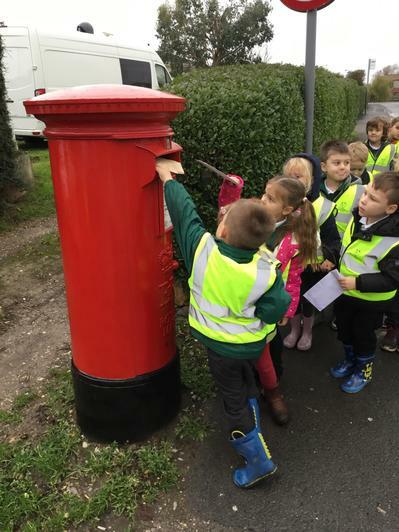 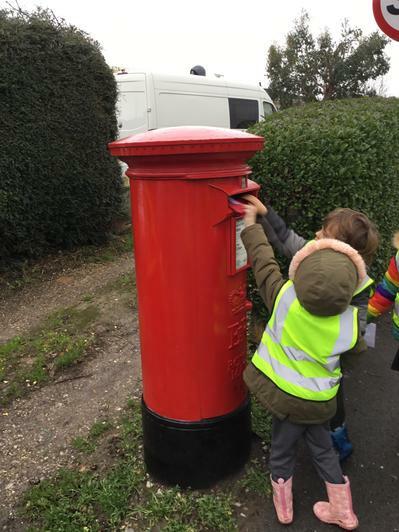 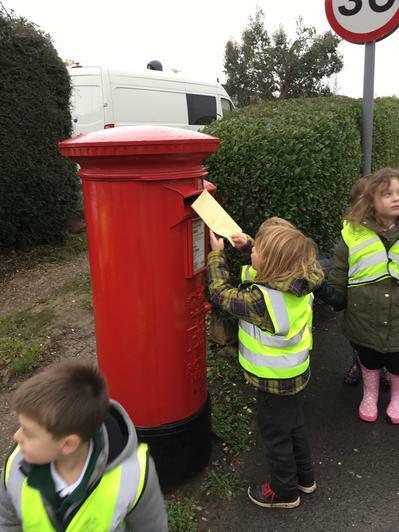 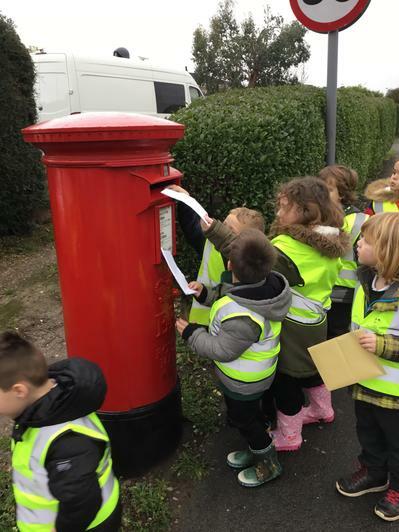 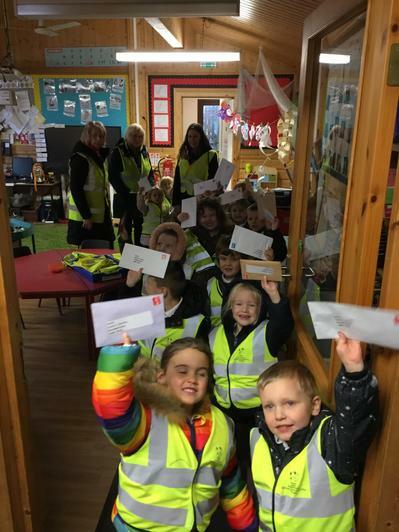 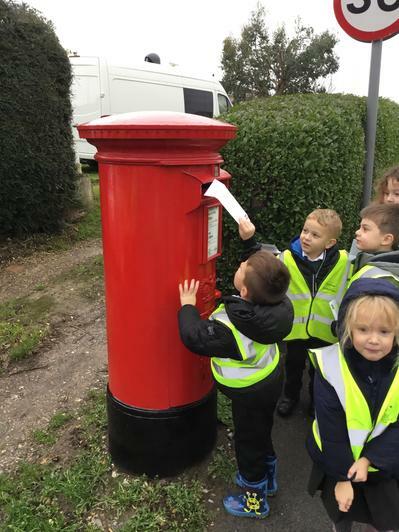 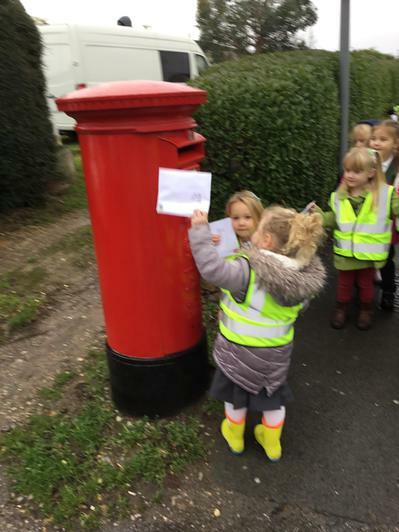 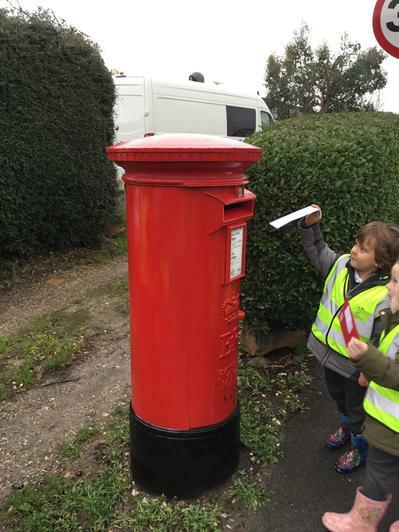 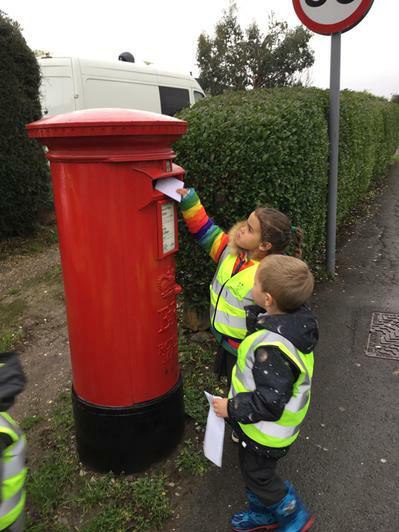 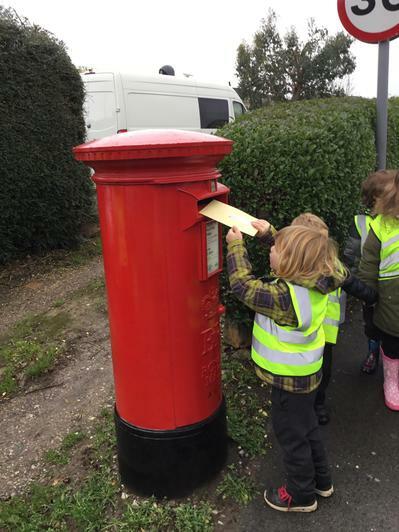 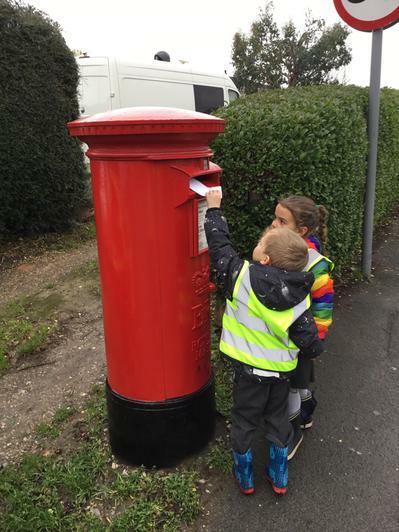 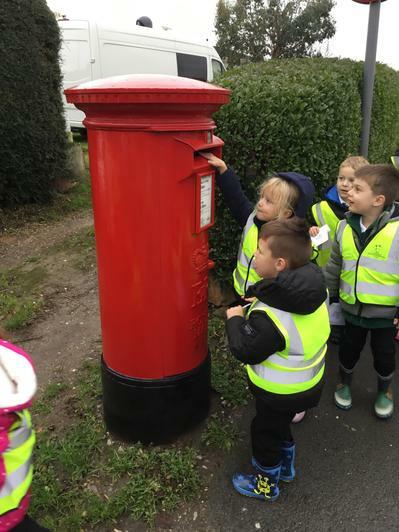 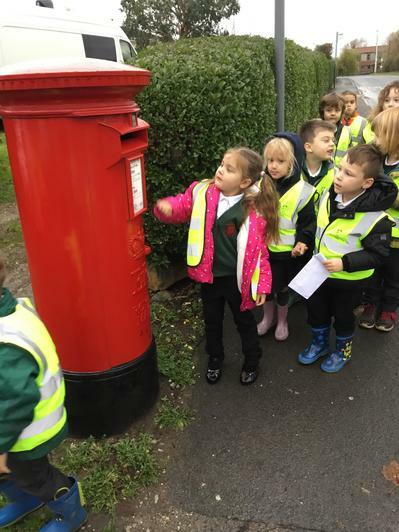 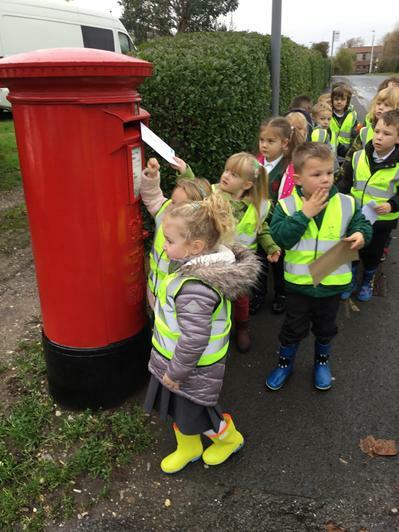 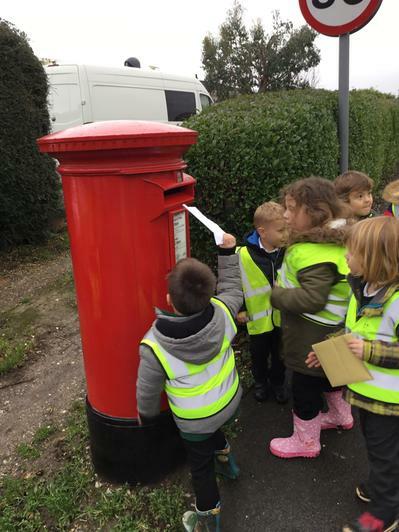 A very special letter post box walk! 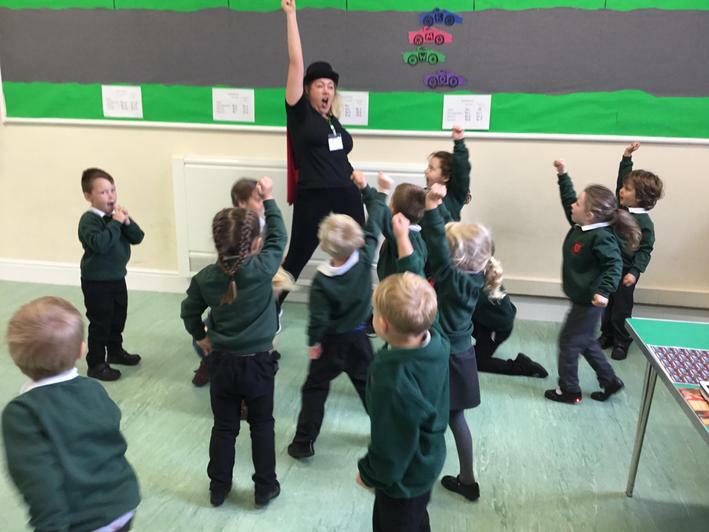 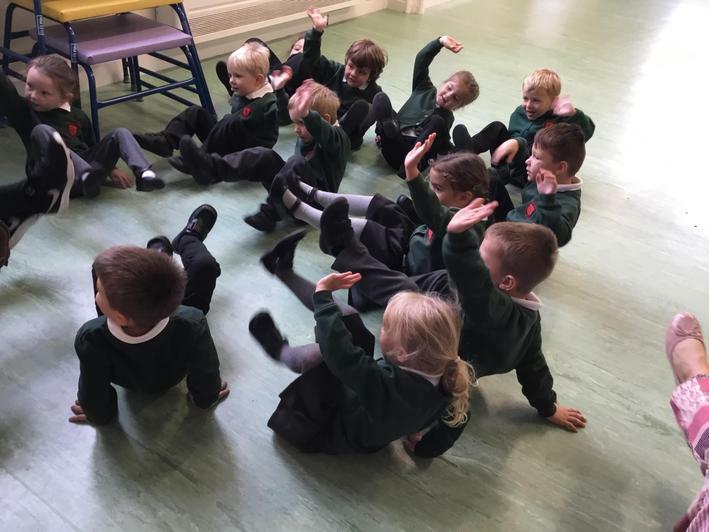 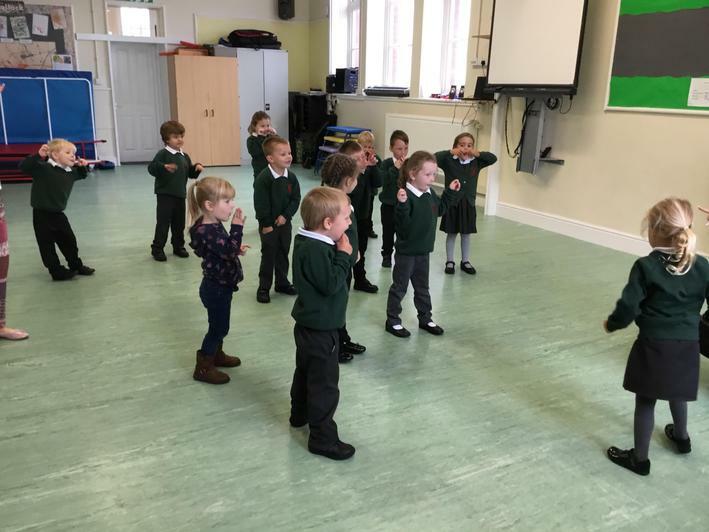 We practised performing the rhyme 'I'm a Little Teapot' in Owls class today. 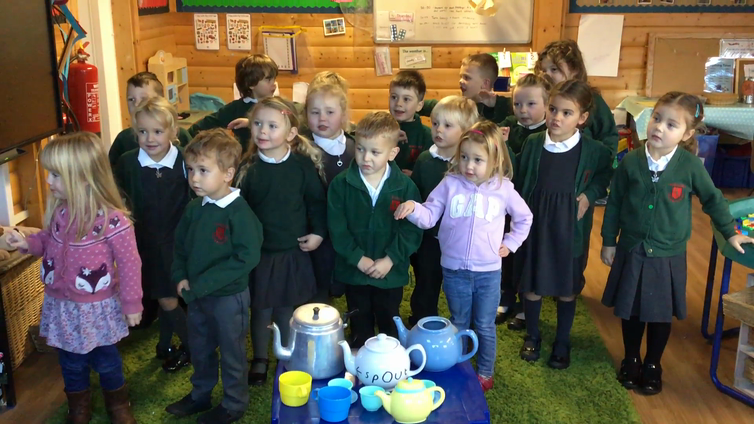 We enjoyed a lovely cup of tea afterwards! 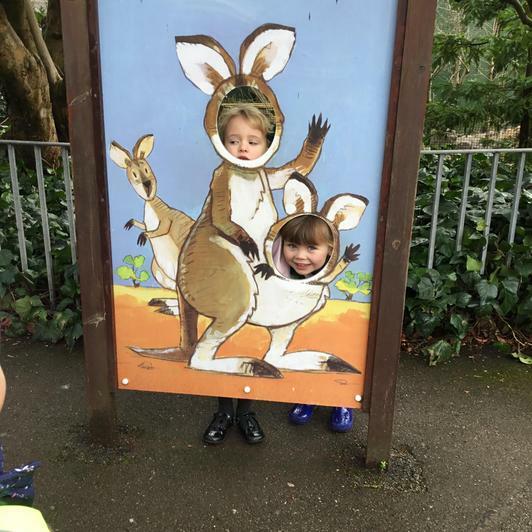 Can your child remember the rhyme now? 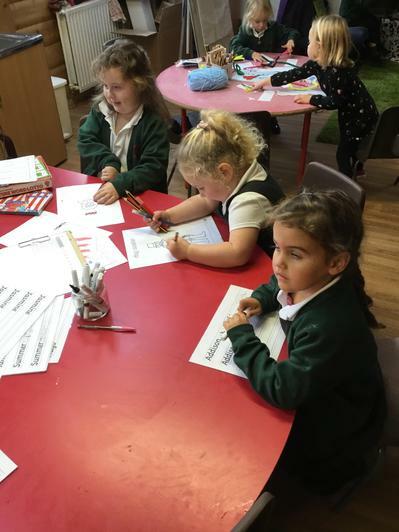 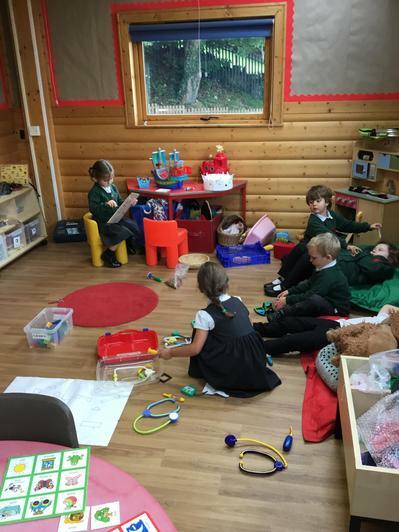 What an exciting few weeks we have had in the Owls class! 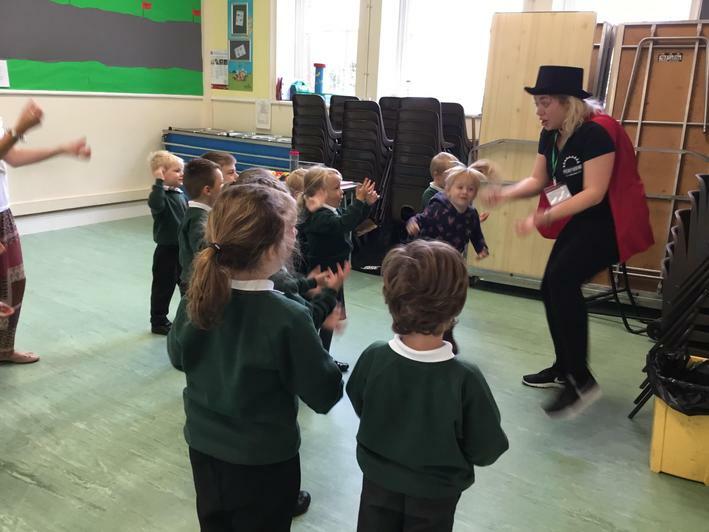 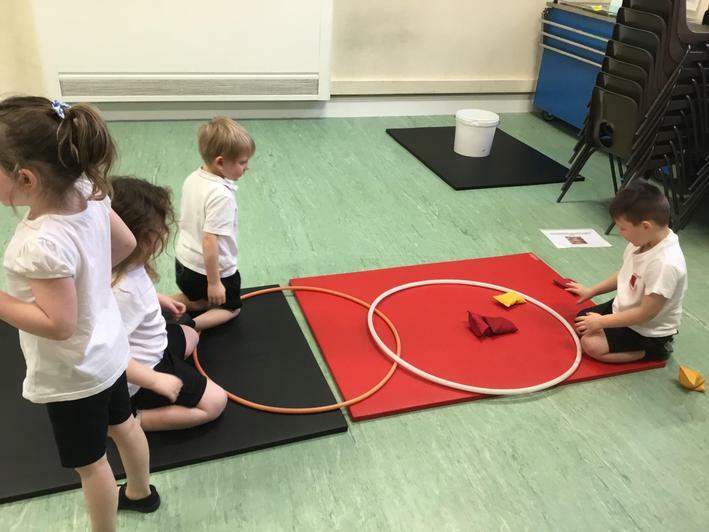 We have been on a journey to the Circus and explored lots of fun activities including juggling, unicycling and being human cannonballs all without leaving the school hall! 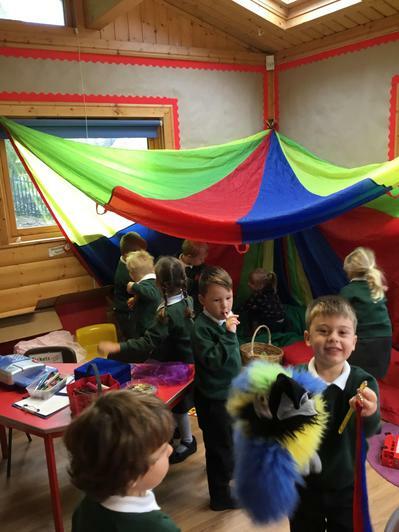 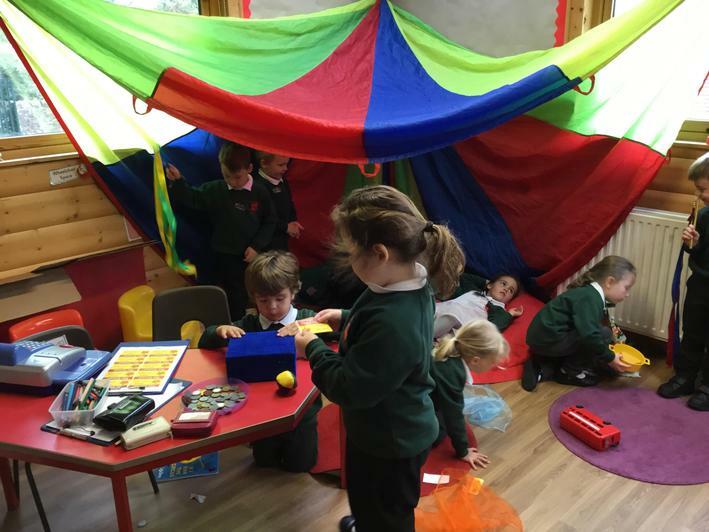 In our classroom we had our own Big Top circus tent to play in too. 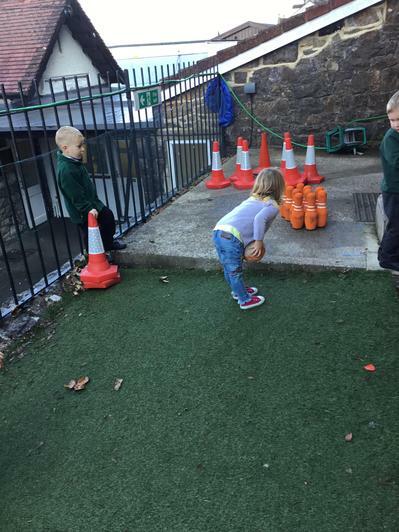 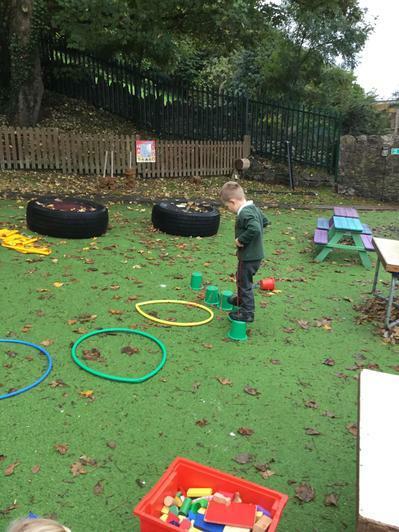 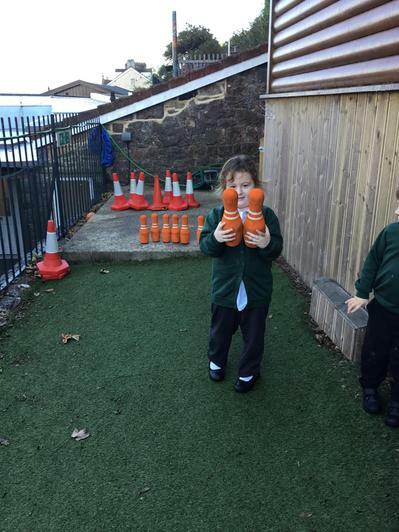 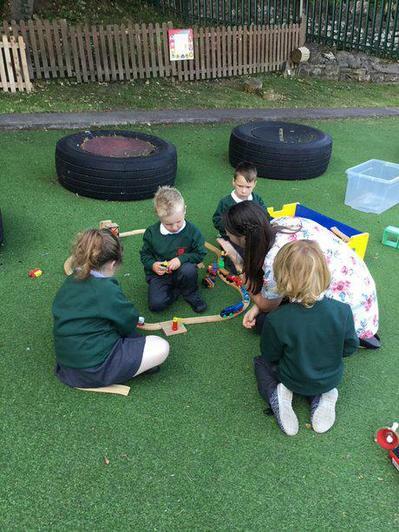 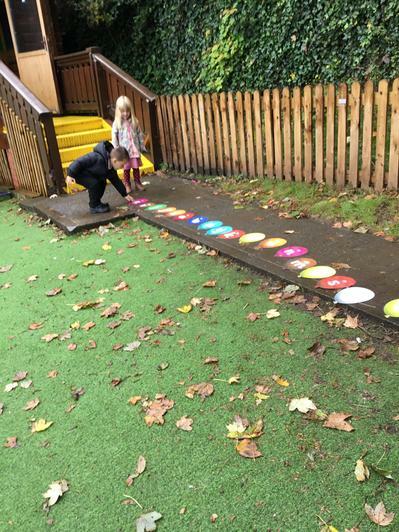 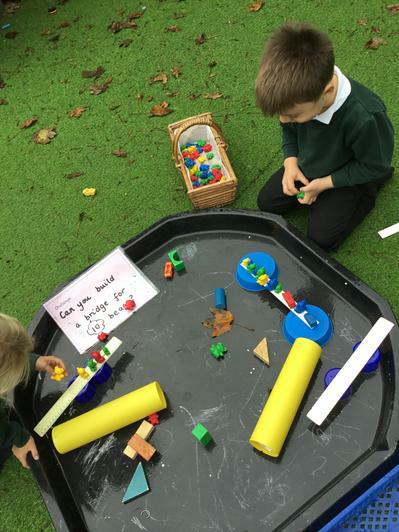 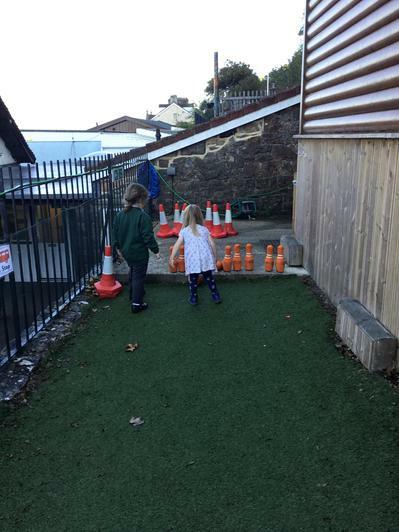 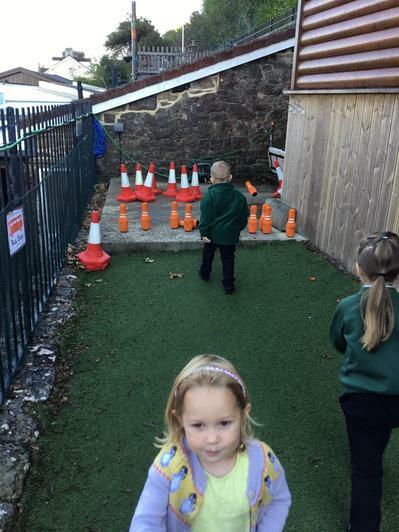 We have carried on learning our numbers and sounds and enjoyed playing skittles outside. 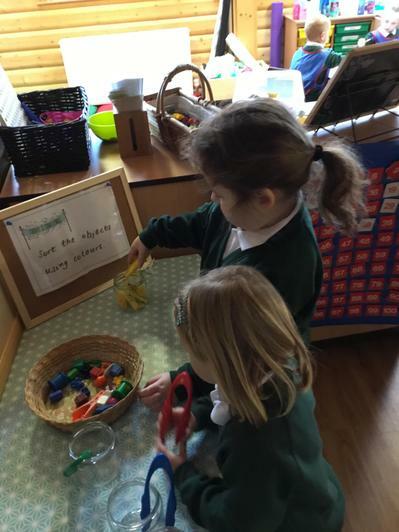 Some of us had a go at writing the scores on the chalk boards. 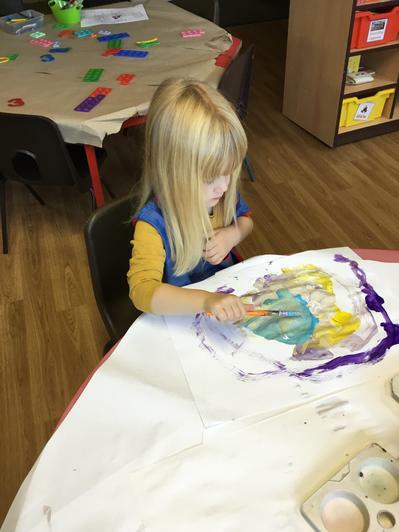 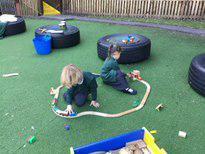 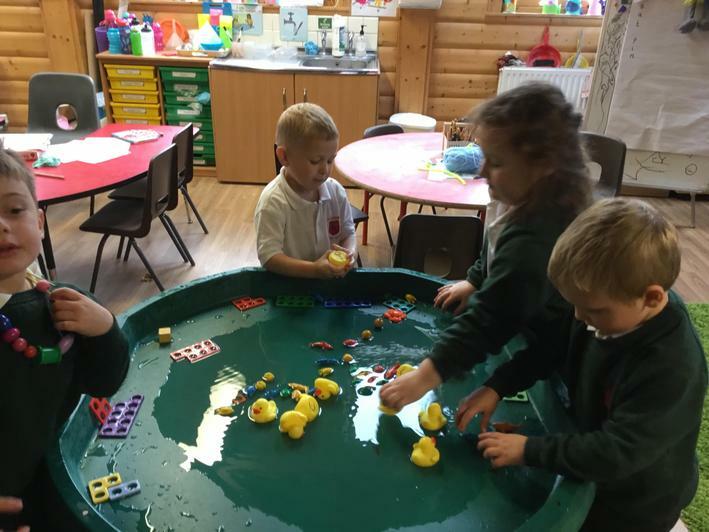 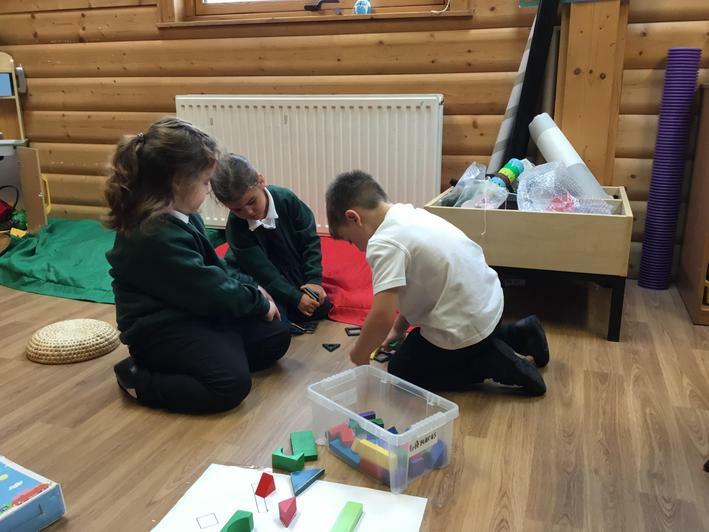 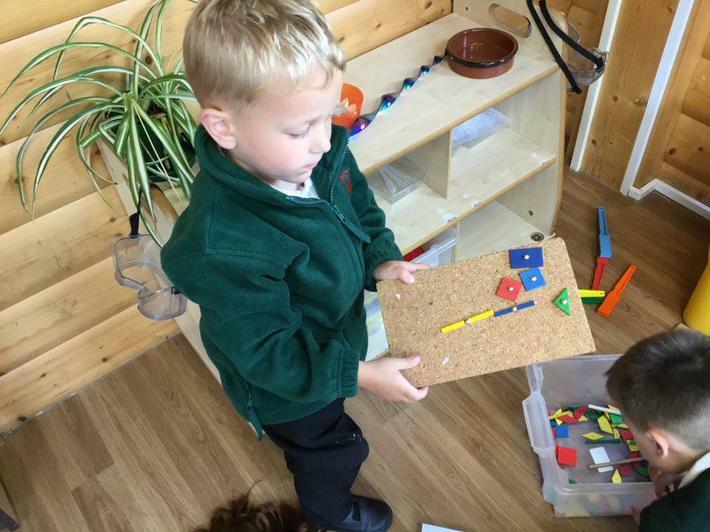 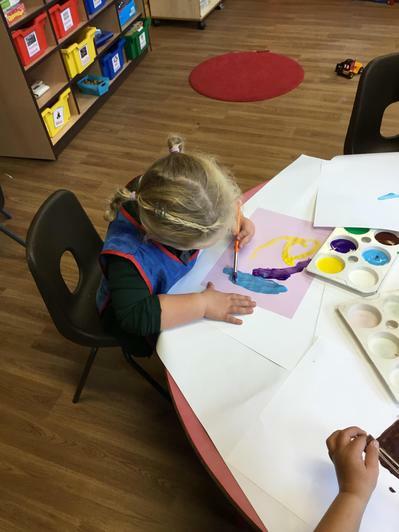 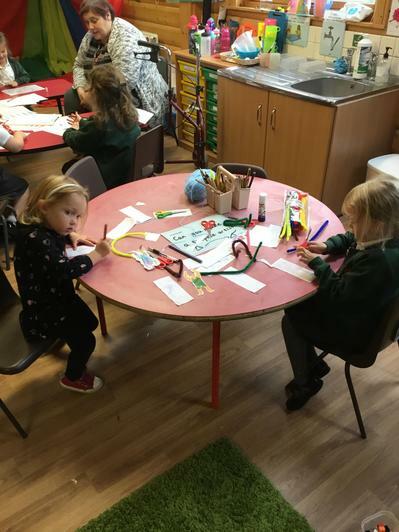 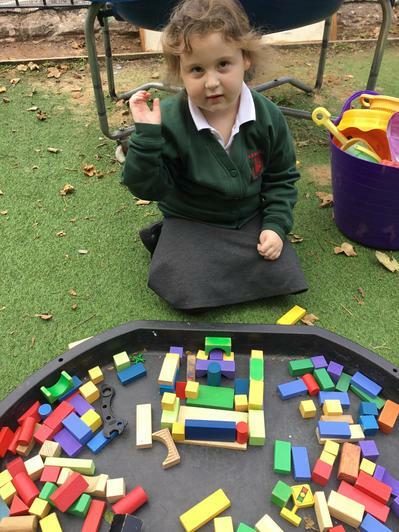 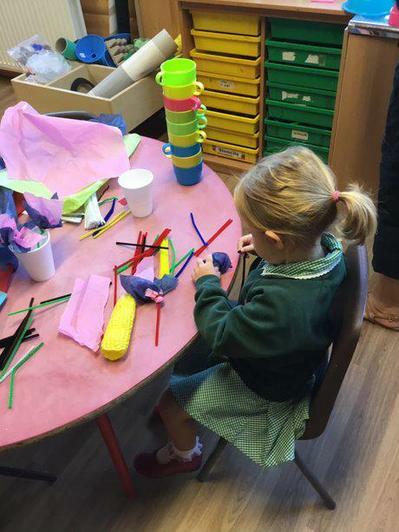 This week we have been busy exploring shape and colours. 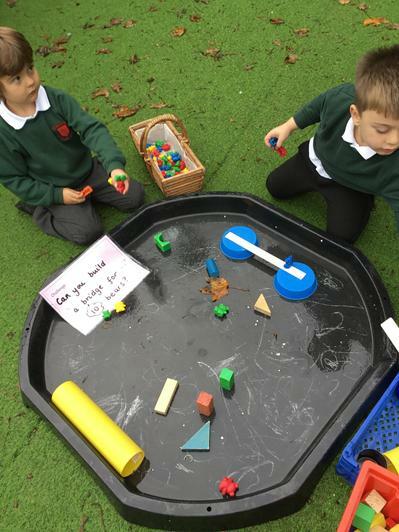 Can you find and name any shapes at home? 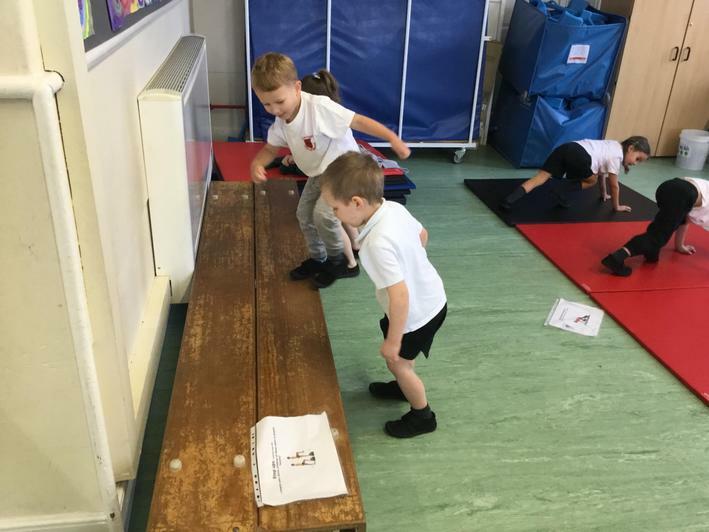 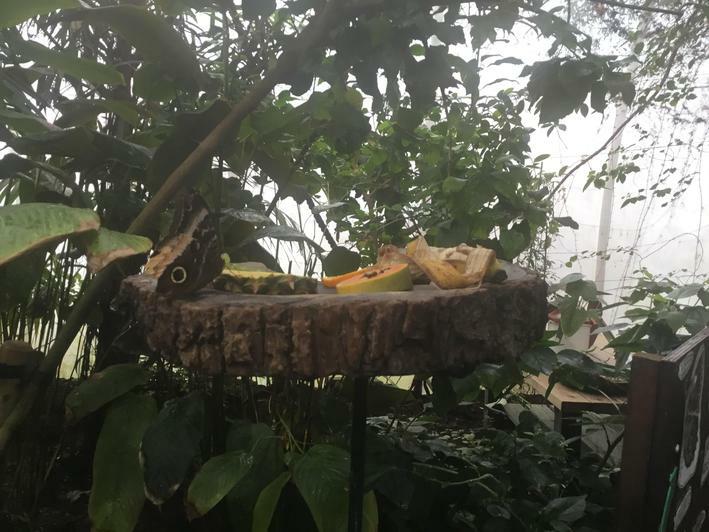 A collection of pictures from our first week. 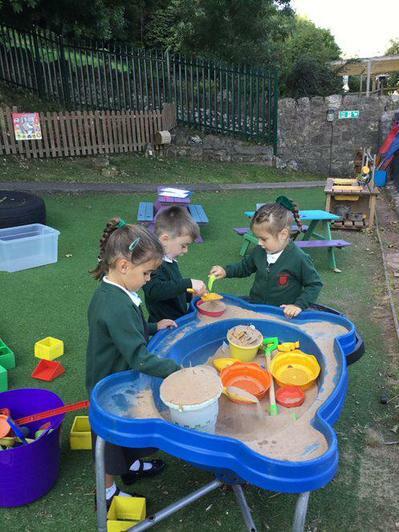 The children all settled extremely well and had such a wonderful couple of days exploring.The sand and mud kitchen were a favourite! 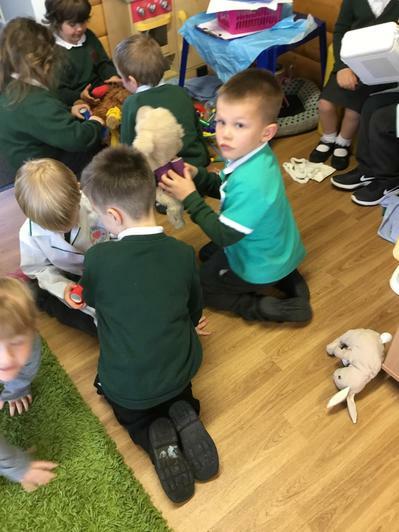 We enjoyed socialising over some tasty fruit and learning some new games to play at lunchtimes. 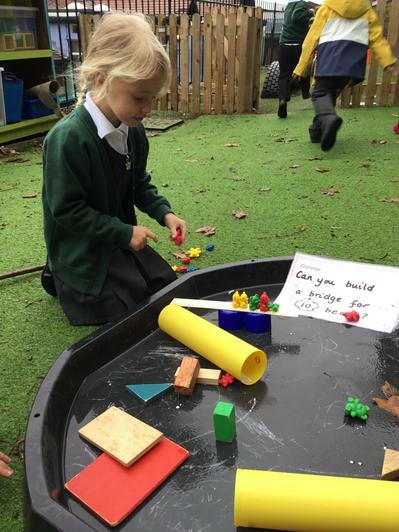 We got creative in the construction area and explored the musical instruments. 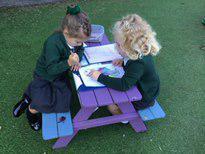 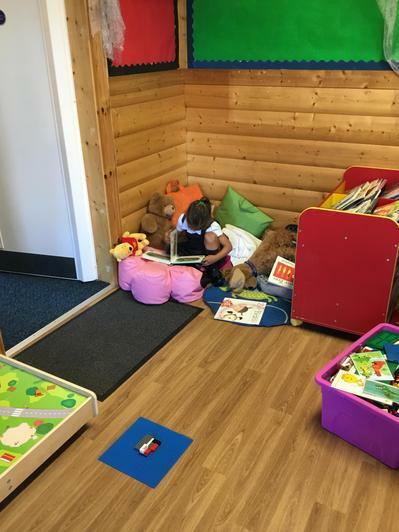 There was also some amazing counting and writing going on and of course enjoying a lovely book or two! 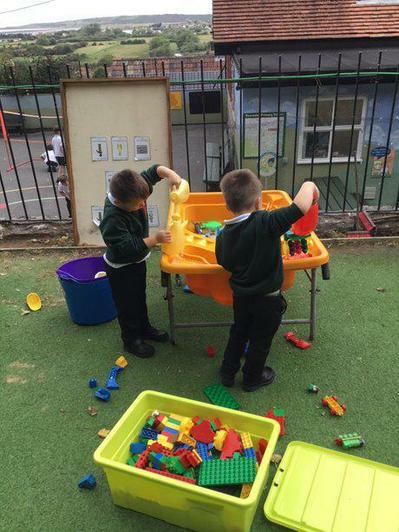 We can't wait to do it all again next week.